On a long weekend to Palma, the biggest and most important things on our itinerary were to relax and enjoy the sunshine. But the traveller in me is never content with just sitting by the pool. I don’t think you can ever claim to have truly ‘been’ somewhere if you haven’t actually explored the surrounding areas, and sampled some of the local cuisines. 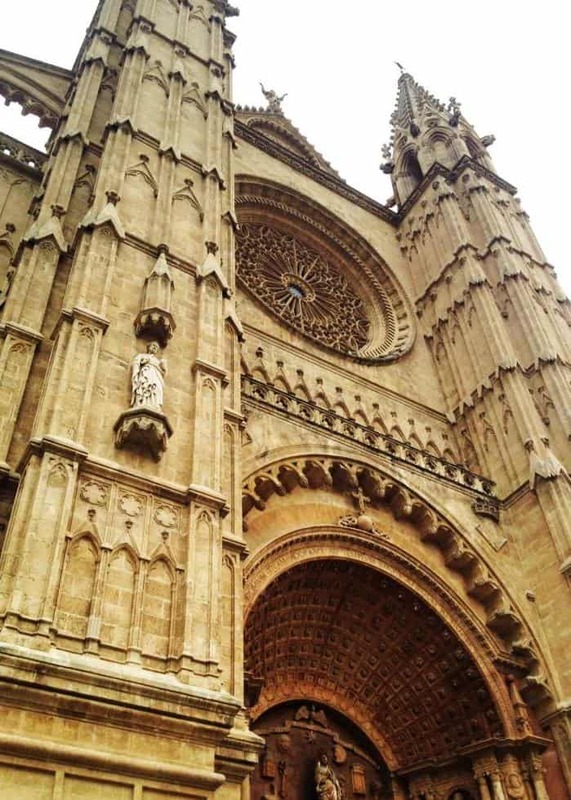 Here are my Top 10 Things To Do in Palma de Mallorca if you’re short on time. 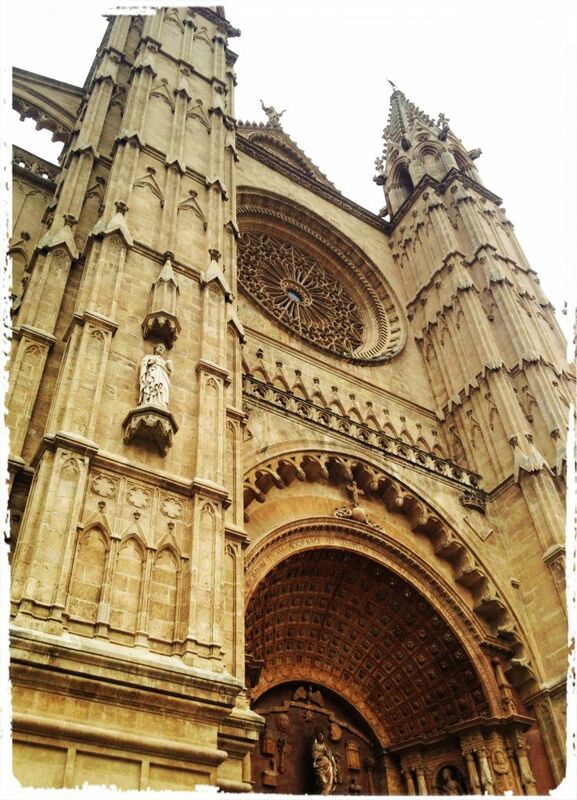 If you can only do one thing in the city, then a visit to Palma Cathedral – known as La Seu – should be it. This gothic Roman Catholic Cathedral was built on the site of an Arab mosque. It was restored at the turn of the 20th century, then Antoni Gaudí became involved with the project – and his influence is apparent to this day. Overlooking the harbour, it lies in the oldest part of the city and is dedicated to San Sebastian, Palma’s patron saint. 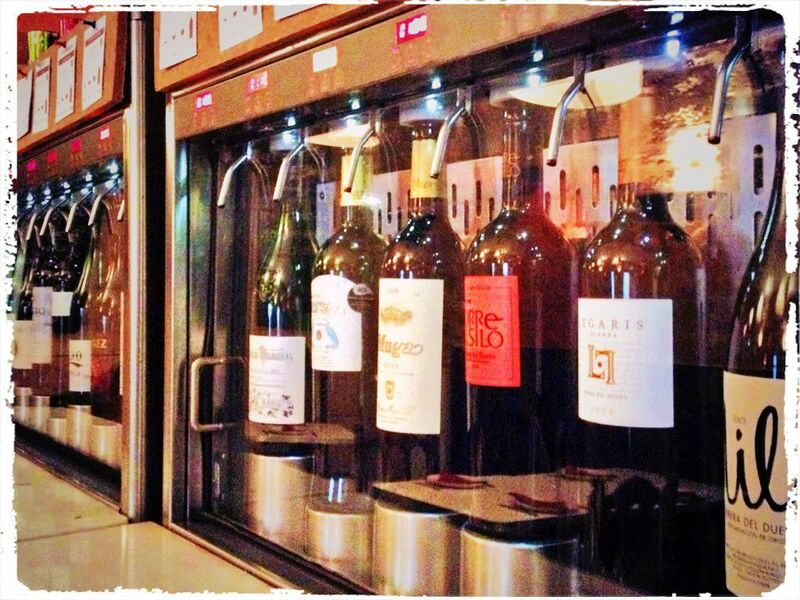 This gem of a wine and tapas bar is located inside an old renovated building within the historical La Lonja quarter of the city. The concept is simple. 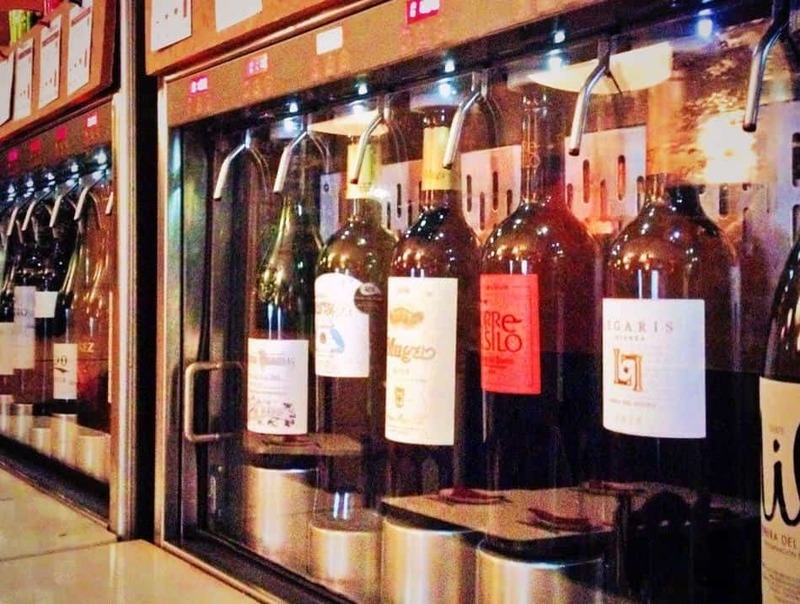 There are 48 different wines to try by the glass – a little sample or full tipple. Your party is given a special card and, with this card, you go up to the machines and make your selection. Needless to say, it’s a lot of fun trying out several different wines, from local to further afield. And the tapas here is phenomenal. Try the sizzling prawns – so delicious we ordered them twice. Needless to say, we didn’t leave Wineing for about five hours! 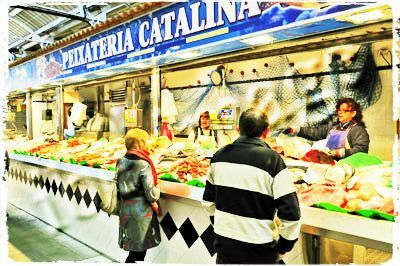 At the heart of Santa Catalina is the food market, which has many stalls for fruit and vegetables, fresh fish, meat and ham as well as a couple of tapas bars if you want to sample some of the produce while you shop. It’s a fantastic place to go on a Saturday morning as you can enjoy the market and then wander around this vibrant area, browse the eclectic mix of shops and take your pick of fantastic bars and restaurants. 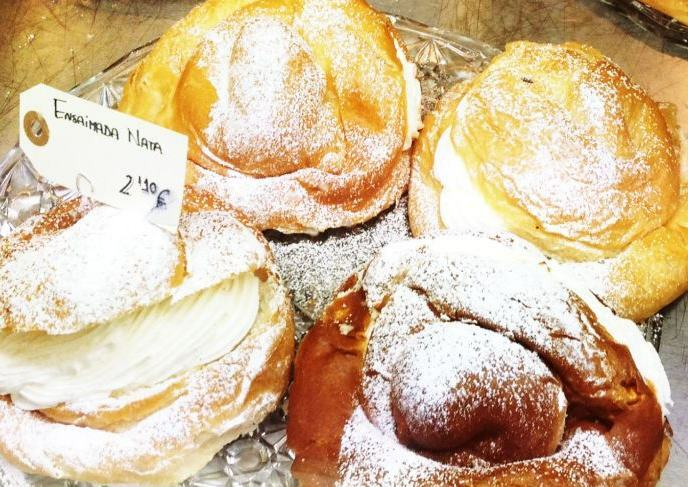 A traditional Majorcan breakfast, the island’s equivalent of a croissant – these delicious pastries filled with cream, or chocolate, custard, or lemon curd are fantastic to be eaten at any time of day, although grab some quick as the queues for these can be immense especially if you head to popular bakeries who specialise in them – including C’an Joan de Saigo, who have been serving up ensaimadas since its opening in 1700 in the heart of the old town. If you take a leisurely stroll around 15 minutes out of the centre of town you’ll discover the Portixol area – a former fishing village that has become one of Palma’s coolest hang-outs and most sought after suburbs. It has a small cluster of excellent restaurants around a small beach on the waterfront including Ola del Mar and Moli des Portixol. Grab a spot on a table outside, soak up the sunshine and enjoy. 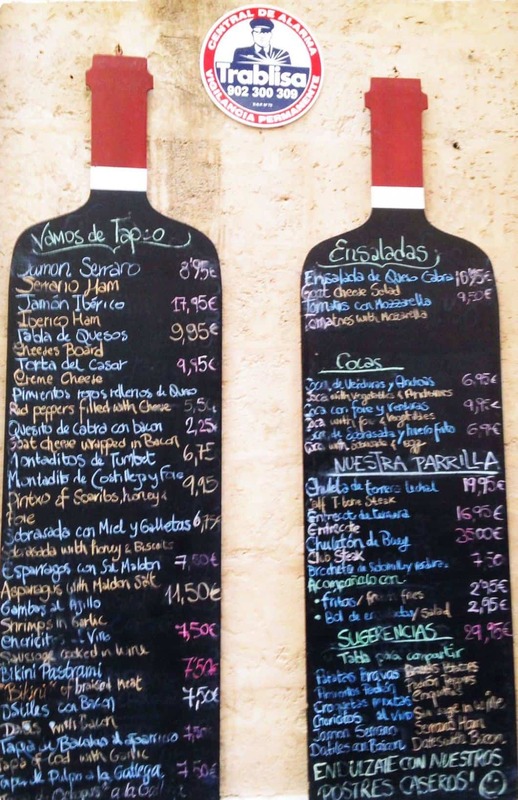 If you’re looking for smaller bites or pintxos, then head to the back streets where you can find tapas and bargain eats. 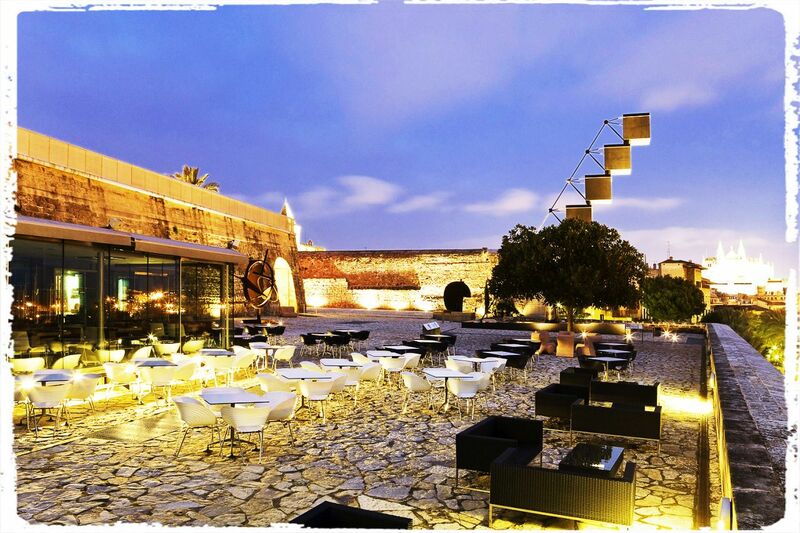 Es Baluard is housed in a former military fortress – and features one of the largest cisterns from the 17th century, known as ‘The Aljub’. 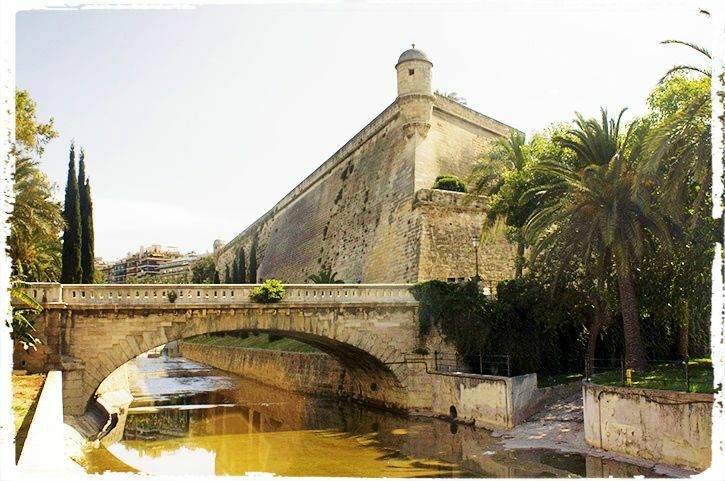 This freshwater reservoir was used to supply the Sant Pere quarter, as well as the ships that used to dock in the harbour. The art collection consists of Balearic and Mediterranean contemporary art from artists including Picasso and Cezanne. The exhibition spaces extend out on to wonderful outside terraces with fantastic views of the city. 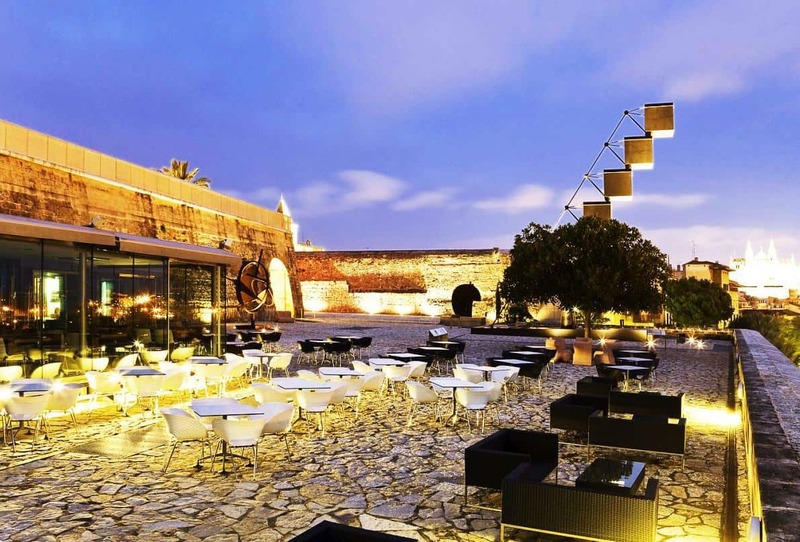 There’s even a restaurant on one of them, too, so you can enjoy some art, sip wine, and take in the whole bay of Palma without leaving the premises. Because of Palma’s relatively small size, shoppers will be able to cover a lot of ground on foot and in a relatively short space of time. 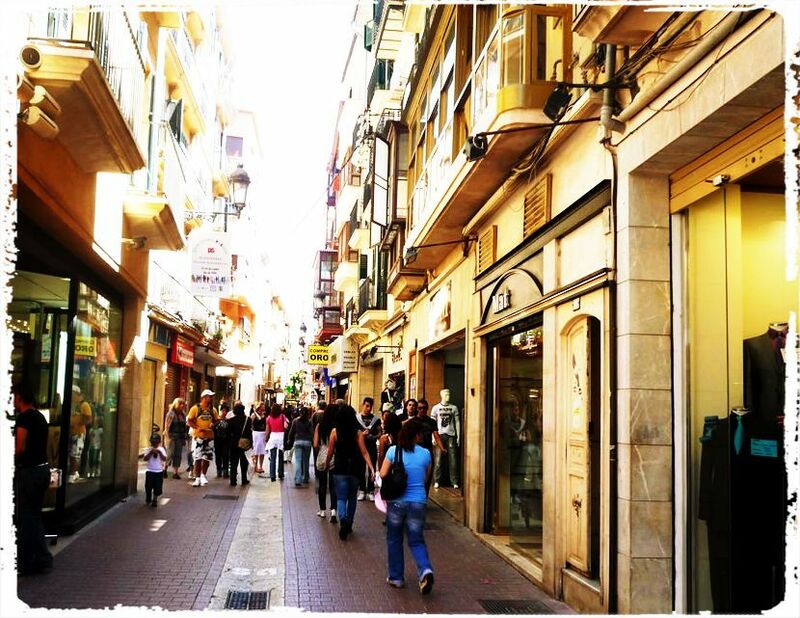 The main shopping areas are centred around Avinguda Jaime III and Passeig d’es Born, and it’s on these elegant avenues that you will find most of the designer boutiques, jewellery shops and department stores. As well as browsing the goods on offer, it’s also a nice way to see the city. 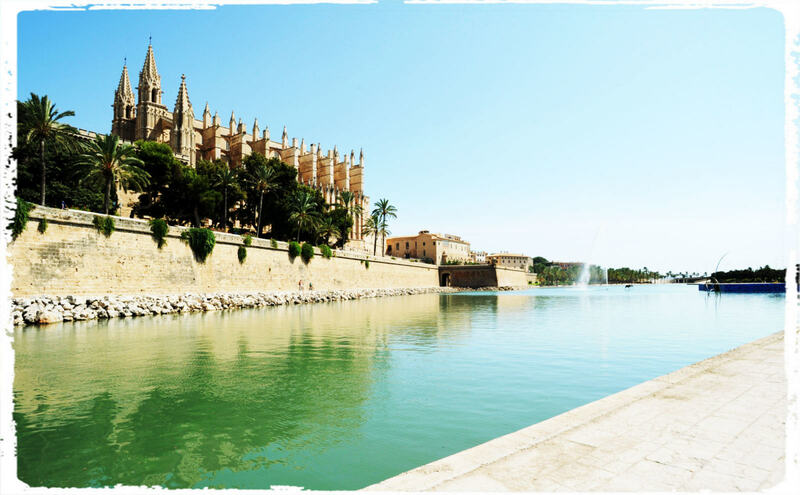 Parc de la Mar is built around a man-made reservoir and is a popular weekend and summer spot, with several cafes, a mural donated by Joan Miro and an art gallery in the vaults of the old city walls. Sit beneath the palm trees and enjoy the view of the Cathedral. The park also hosts a number of open-air events, film screenings, concerts and festivals throughout the year. We just enjoyed the view and the peaceful atmosphere. 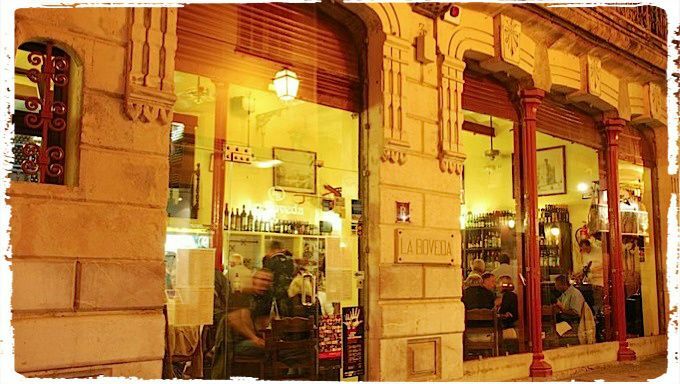 La Bóveda – one of the city’s icons – is a traditional bar and restaurant and is very popular with both locals and tourists. Located in the Sa Llotja area near the harbour, you won’t go wrong with any of the dishes, but the mussels, prawns, clams, as well as patatas bravas and vegetables fried in batter, are all super tasty. Plus grazing on their more-ish tortilla and sharing plates of cheese and ham will be hard to resist. Their house wine is also great value and an enjoyable tipple. 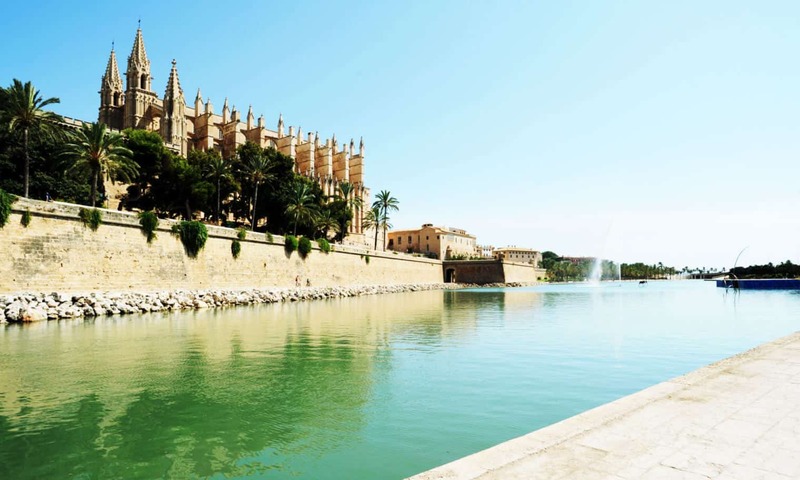 Do you have anything to add to the Top 10 Things To Do In Palma de Mallorca? Great write up. I’ve always fancied Palma. Will have to put it on my list. Feel a girls weekend away might be in order. You can never go wrong with a girls weekend. Think they’re a must! Looks as though I need to add Palma to my list of places to go. Fabulous post & photos as always. Thanks Izzie. It’s such a wonderful place and very underrated I think. I will, I hope soon…its not even far from here… just need to find the right opportunity!! Good food is already a huge reason for me to go 😀 thank you for writing this lovely post!! Looks fabulous!! We went to a restaurant in Palermo on the walls of the Fort…so lovely. Your photo reminds me of that. Wineing sounds like my kind of place…what a fabulous concept! It’s gorgeous and such great food and wine! Pinning this one straight away – Mallorca is on our short list and your must sees seem approachable and fun! 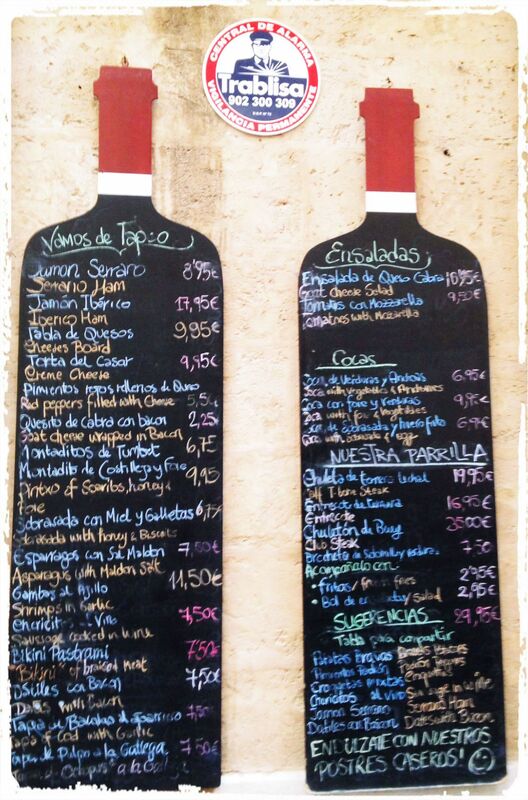 Great food and wine there and all walkable in Palma. 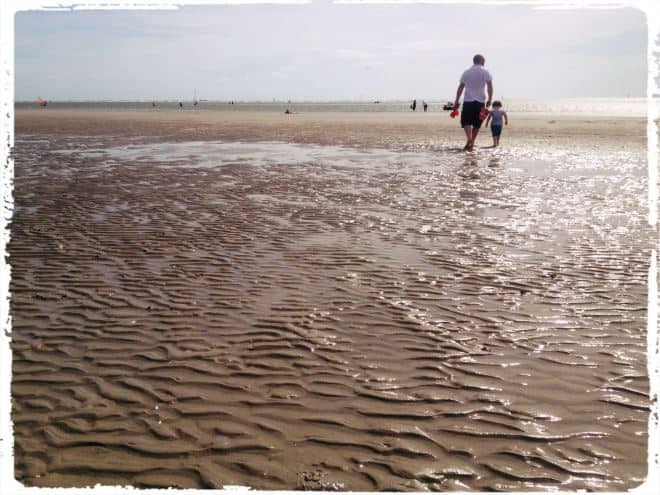 Fab beaches too! Thank you! The two photo editors I use are pic monkey and fotor. They’re both pretty good and do lots of stuff. Oh how lovely! Glad I could bring back some nice memories for you! And that your son is called Sebastian! I’ve only been to Palma once but would love to go back. We hired bikes and cycled along the harbour which was fab. Definitely have to try a few places from your list, especially as I’m a massive fan of tapas and wine! 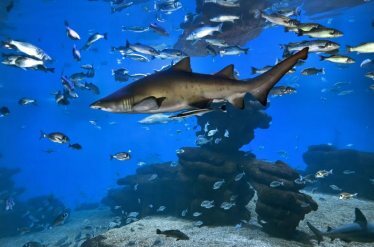 Great pictures and suggestions – looks like so much fun! 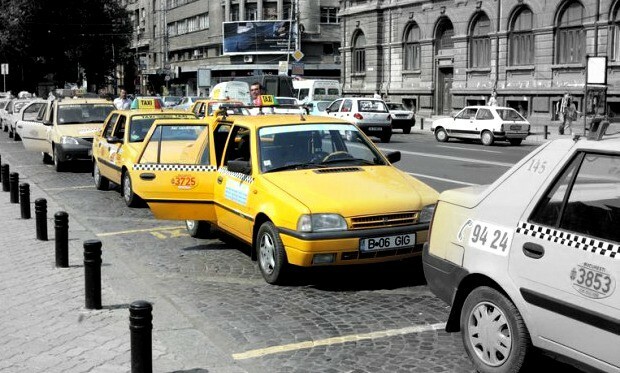 And hello, I want an ensaimada right now, thank you very much!! Ha ha! They are really good! I went without my son, on a girls’ weekend, so a little different experience, but would love to go back as a family. I would still enjoy the same things! I think it’s time for another trip! Just to eat the ensaimadas! Palma is one of my favorite spots in Spain. We combined a visit here with the Las Fallas Festival in Valencia. It’s a good combo for a long weekend. Yes, it’s such a shame – they all miss Palma and head out. Gorgeous photos! 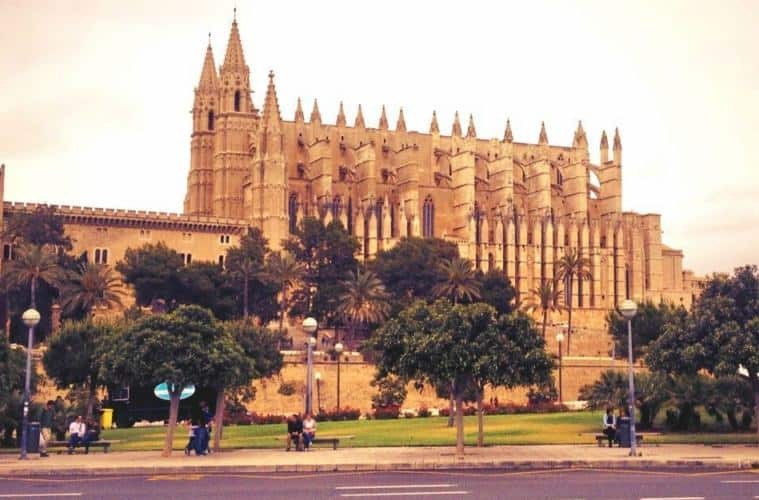 I would love to visit Palma, looks perfect for a long weekend away. I’ve been to Mallorca but had no time to visit Palma. I’d love to properly see the city instead of flying in and out of it. Thanks for the tips! You’d all love it there – the ensaimadas are worth the trip alone! Interesting how the Cathedral was built on the site of an Arab mosque. I find it fascinating how so many European Churches have previously been places of worship for other religions! It’s a wonderful place full of history and food food. A great combo as you said! We had a great family holiday in Palma: what an amazing place! I find the cathedral incredible: we stayed in the city centre and would wander around it almost every day. Your photos are beautiful, they make me want to go straight back there! Thank you Marta. We could have spent more time wandering the old streets and catherdral too. A great place to do it! I think a lot of people bypass it for bigger cities like Barcelona and Madrid. Glad you like the look of it! 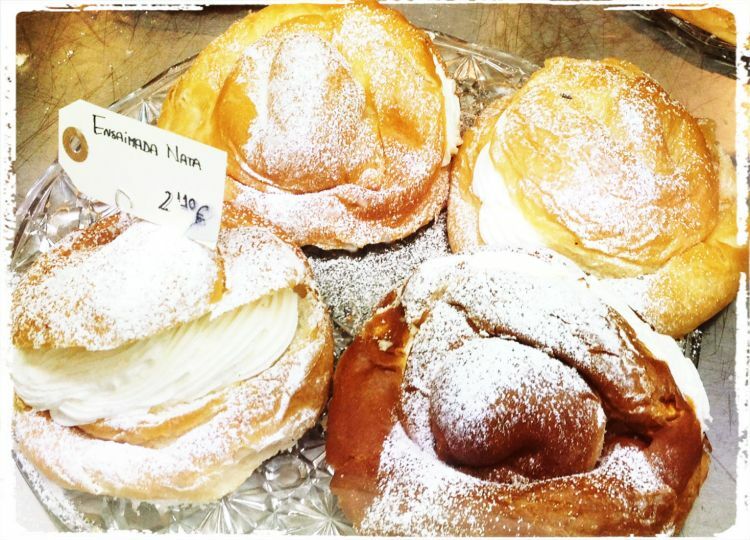 Would love to start a day with those pastries by the sea 🙂 Wonderful post, thank you! Pleasure, I think it would be great to go back with my son too! We have visited other parts of Majorca (when Rory was little) but haven’t been to Palma apart from it being the starting point for a Mediterranean cruise. I wish now we had booked to stay either before or after the cruise. Wineing looks like my kind of place. Wow these look so yummy! My mouth is watering just looking at your photos. The beauty of this place cannot be expressed with words. Love everything about it. Thanks for sharing your experience and views about it, Ting!